Protect your equipment with Don's Photo Exceptional Service Plan. Our ESP will allow you to get the most out of your investment for years to come.You have the choice of extending the Manufacturer's warranty coverage for one (1), or two (2) years on all new imaging products purchased from Don's Photo. Wherever you are, we will return your product to factory specifications. The Exceptional Service Plan (ESP) with loaner coverage will make sure that you don't miss any of those important imaging moments when you equipment breaks down. Accessories and peripheral devices that come with your product are protected by the Exceptional Service Plan (ESP), provided they came in the original manufacturer's package. Your product will be repaired or replaced should it be damaged by a power surge (hardware only- software and data not included). 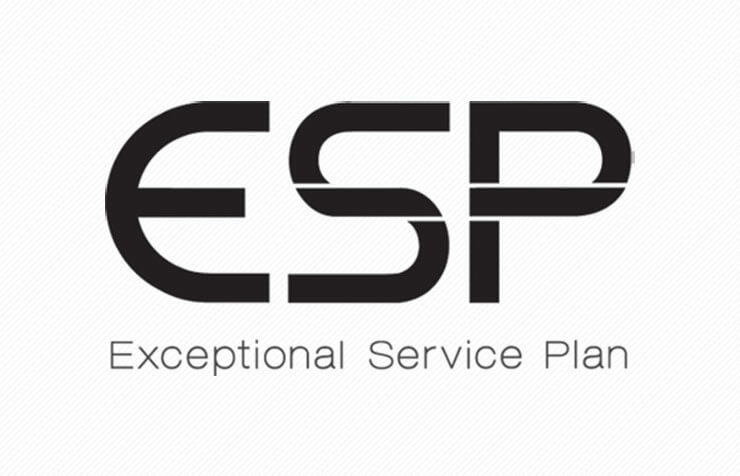 The Exceptional Service Plan (ESP) provides you with service as stipulated in the terms and conditions with no hidden fees or deductibles. If, during the warranty period, your product requires repair more than two times, it will be exchanged for an equivalent model. Please note that the product must have been repaired at an authorized Service Centre and the unit must comply with the terms of the warranty.